Calling RV Anderson and Jim Patrick...you guys seem to be VERY knowledgeable about the "art"! Wood spokes were stripped to bare wood. Some have gouges and grain showing. Otherwise sound condition. Did NOT use wood filler to smooth out prior to application of Zinsser Cover Stain (primer). Put two coat of Zinsser on per RV method. Now can see how obvious the gouges and dings are ;( Have put too much time into wheels to let this go prior to finishing them up! QUESTION 1: can I apply wood filler on top of the PRIMED spokes without compromising future integrity of the paint job? Or does it have to go onto bare wood for max adhesion? QUESTION 2: Any other recommendations for filler in addition to Moser's (mentioned in referenced thread)? Would like to buy locally to get on with the job and only have the big box stores available. Thanks in advance and to all reading this, THANKS for making this forum such a valuable asset to the community!! Ted. I use Abatron (www.Abatron.com) 2 part WoodEpox epoxy wood filler to repair wood rot on my house and it can be used over primer and finish coat when filling wood, but I have never filled gouges on wood spokes and am hesitant to suggest you do so, because of the possible danger of applying cosmetic repairs to a weak and rotten spoke. If you are absolutely sure your spokes are solid and the gouges were caused by sandblasting or scraping to remove the old paint, I would use the filler, however, if you are not sure what caused the gouges or if the gouges are caused by dry rot or any sort of natural deterioration, I would replace the rotten spokes with a new set, because the rot may go down to the core thus compromising the integrity and strength of the wood. 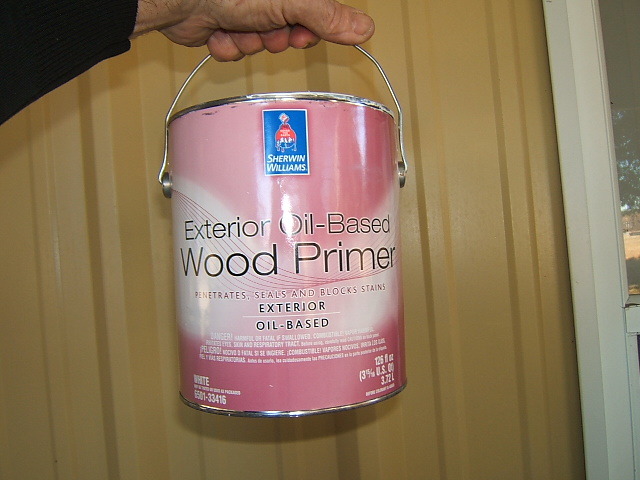 As a wood filler, WoodEpox, while expensive, cannot be beat. I am currently repairing the window sashes of my Victorian house with it, now. Thanks! Not to worry - gouges and dings are topical in nature, not affecting the structural integrity of the spoke/wheel. All are good, solid "rappers". Agree that you don't mess with questionable spokes - foolhardy. Relieved to hear that filler can go on AFTER primer applied. Whew. 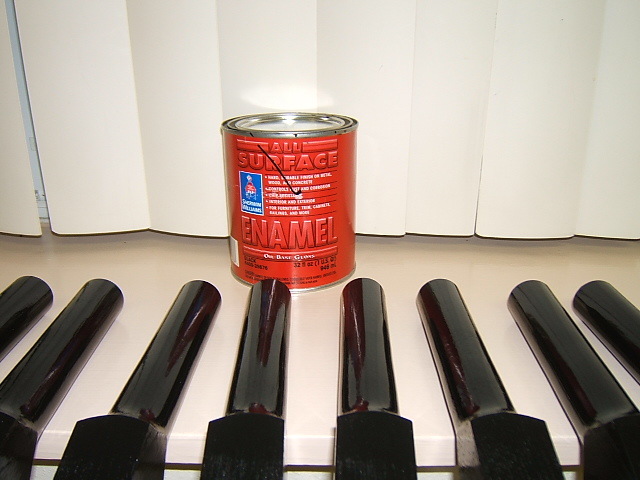 You can use Bondo if all you are doing is making them pretty for painting. I have no experience with modern type fillers, epoxy or otherwise, so I can't praise or disparage them and will rely on Jim's assessment. Personally I like and use Moser's water based wood filler exclusively, for filling small imperfections, nicks, etc. I like it because wood itself is water based, and the filler itself is mostly wood dust, with binders, adhesive, and water. It can be applied after the primer but I always scrape the nicked area clean so it adheres to the bare wood. Then I touch up the area with a brush after sanding the filler smooth. I've used DuPont bumper primer, which is made for modern bumpers. It's flexible, and is a good primer too. I can fix small defects on top of it with regular glazing putty, and prime over that with regular primer. I use Centari 99A black for the finish coat. Works for me.